While you prefer the taste of human flesh, that of goblins will have to do. 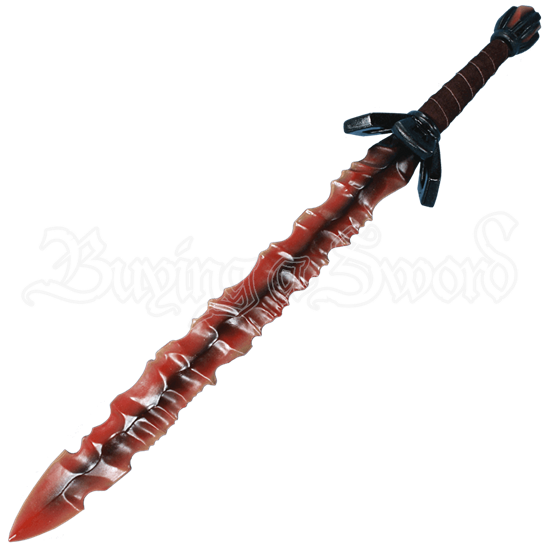 Forged from the fire and brimstone that runs deep within the mountains, the Hellfire LARP Sword assists you in driving away the menace that threatens your clan. Painted by hand with rich detail, the double-edged blade looks as if it was fashioned from molten lava. Red and orange gradients color the jagged edges of the blade, while a black spine runs down the center. The crossguard and gemmed pommel appear to be made from a dark metal. A split-leather wrapping reinforces the grip.The Hellfire LARP Sword proves a worthy companion for the orc warrior who is not afraid to journey to hell and back. 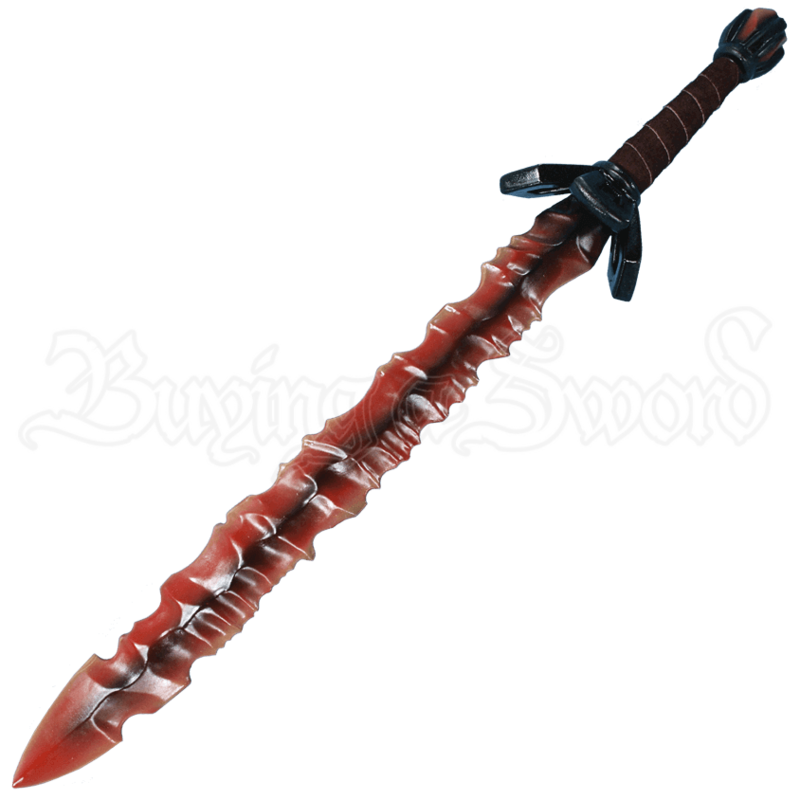 The sword is approximately 34 inches in overall length. Please be aware that these items are handmade. Slight deviations in pattern, color, and shape may occur.